South Korean intelligence agency says North Korea hacked officials' smartphones. 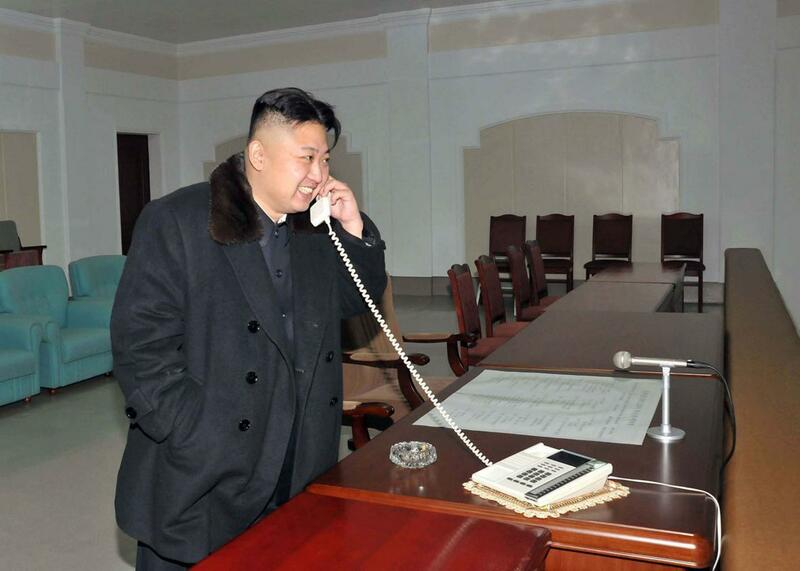 Kim Jong-un taking a call the old-fashioned way in December 2012. South Korea’s National Intelligence Service said Tuesday that North Korean hackers had compromised government officials’ smartphones, accessing texts, phone calls, and contacts. The agency says that at the end of February and beginning of March, North Korea used a phishing attack over text message to trick South Korean government employees into downloading a smartphone virus. The South Korean National Intelligence Service also said Tuesday that in early February, North Korea hacked a security software company that supported an online banking system with 20 million users. South Korean officials were able to block the attack quickly, and it didn’t cause significant outages. Similarly, Reuters reports that NIS identified a recent hack on South Korean railway workers’ email accounts as part of an attempt to damage national train-control systems.